Below you can view all the homes for sale in the West Hampton subdivision located in Marietta Georgia. Listings in West Hampton are updated daily from data we receive from the Atlanta multiple listing service. To learn more about any of these homes or to receive custom notifications when a new property is listed for sale in West Hampton, give us a call at 404-998-4102. Amenities: Clubhouse, Playground, Pool & Tennis Courts. MLS#6532855. Keller Williams Realty Signature Partners. Home Sits On A Finished Basement With Potential 5Th Bedroom. Huge Fenced In Backyard! MLS#6512946. Mark Spain Real Estate. Enjoy The Community Swimming Pool And Tennis Courts! MLS#6128185. Harry Norman Realtors. Near The Avenue Shopping And Excellent Schools. Swim/Tennis Community! MLS#6114336. Keller Williams Realty Signature Partners. 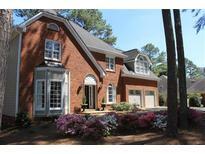 Near Kennesaw Mountain State Park And Great Cobb Schools. Swim/Tennis Community! MLS#6080835. Parkside Brokers.